Star Casts are : Nagarjuna Akkineni, Myra Sareen, Anwar Khan, Sayaji Shinde, Ajay, Baby Kavya, Vizag Pr, Ankur Ratan, , and Others. Cinematographer : Bharat Vyas N.
Write & Share about " Officer Movie Review, Tollywood Officer Live user Review Update, Tollywood Officer Movie Latest Updates | Telugu Cinema Profile" ! We do not sell pirated Officer DVDs & VCDs. We recommend you to buy movies of original DVD & VCD. We do not provide paid / free Officer Movie downloads. We do not offer to watch Officer movie online. 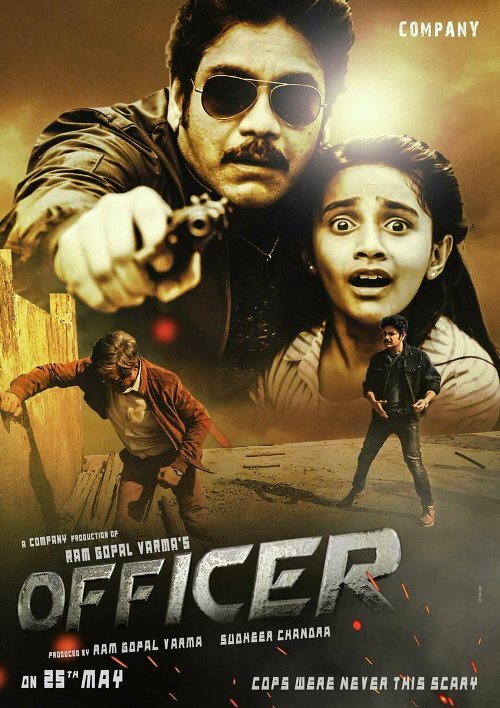 Officer Movie Review/Comments are added by registered customers via Facebook Comments. Officer Movie Star Rating by unique customer filtered by IP's. Free wallpapers download of Officer movie, hero, heroine, etc is available in our Gallery section. Officer Wiki & Box office collections are updated regularly.